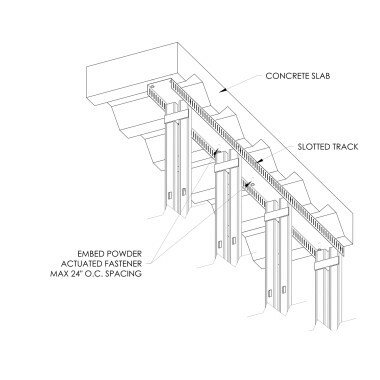 This Silent Steel Framing System is a patented interior framing system specifically designed to easily construct partition walls with high STC ratings. SoundGuard™ was created to save labor on construction, save interior square footage, and achieve excellent sound ratings. 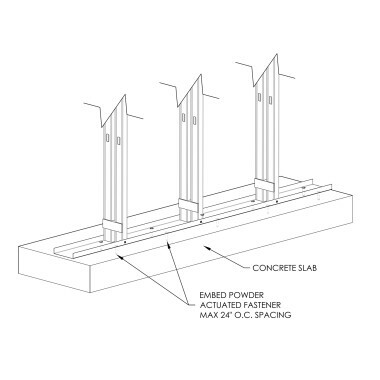 Steel stud walls will perform with superior sound transmission class (STC) ratings when they are constructed with thinner steel material. This will reduce the amount of paths that the soundwave vibrations can travel through the assembly; typically tested with 18mil (25 ga.) to maximize performance. The allowable wall height of the members is often ignored while performing the sound tests. When constructing these walls in the field, the back flange is unsupported resulting in low wall heights and limited design capabilities. 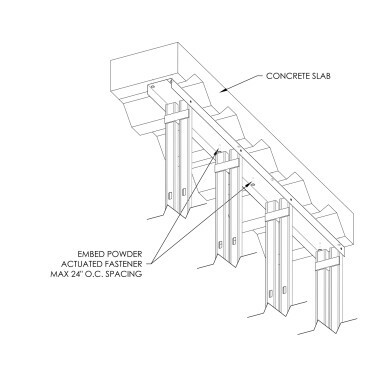 To reach specific wall heights, these sound rated assemblies are often altered by increasing the steel thickness or by installing lateral bracing (cold rolled channel), resulting in an assembly that is not equivalent to the tested sound wall design listed in the GA Fire Resistance Design Manual. 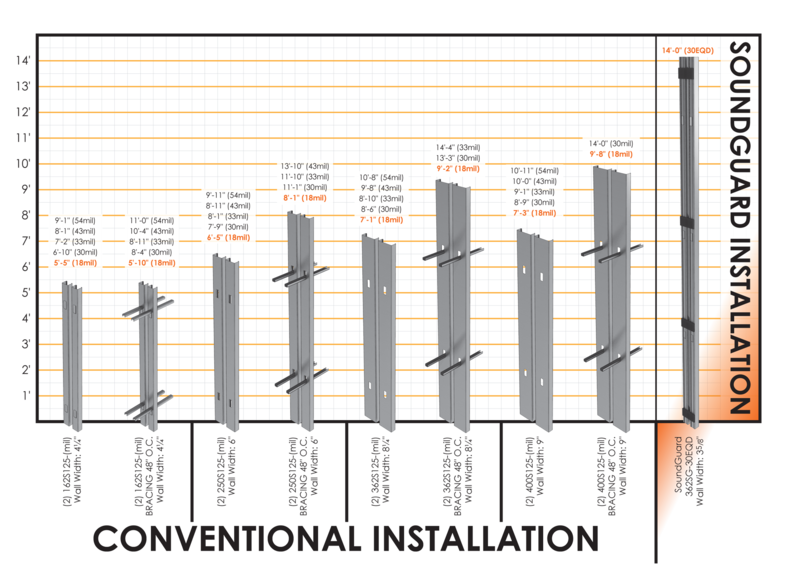 This chart depicts the maximum height for standard sound wall configurations that can be found in the GA Manual. SoundGuard provides substantially increased wall heights that well exceed conventional wall assemblies with the assurance of a lab tested STC rating. Copyright © 2019 SCAFCO Steel Stud Company · SoundGuard™ Silent Steel Framing System · Patent #9,523,197 B2 U.S.A.